Simon Dumont Breaks World Record! 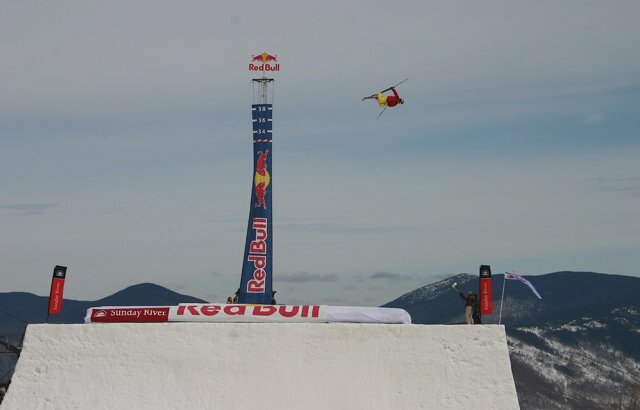 Freeskier Simon Dumont broke the World Quarter Pipe Record today in his home resort of Sunday River. The Bethel local hit 34 ft, breaking the previous record of 32.5 ft held by snowboarder Terje Haakonsen. Dumont broke the record with a cork 900 tail grab. Stay Tuned to Newschoolers.com for a complete recap of this record-breaking event!